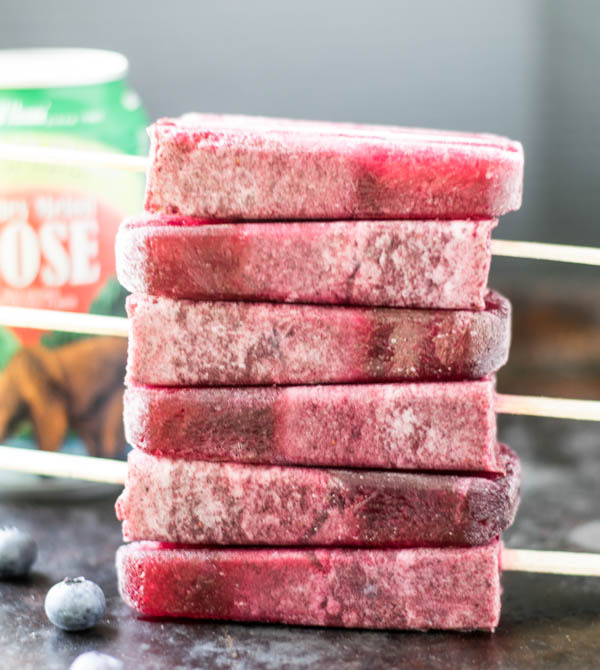 Briney Melon Gose and Blueberry Popsicles are an adult frozen treat to beat the heat with a sour ale and fruity blueberries on a stick for Popsicle Week! First of all, I would like to say that this is not a sponsored post and I am not stalking Anderson Valley Brewing Company. I just really love their beer and I’m totally digging their gose selection right now. 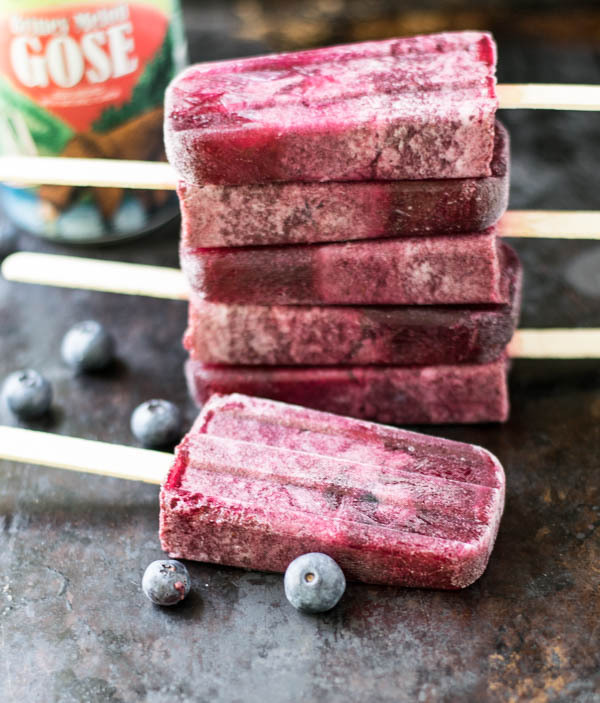 I’m also keeping things pretty short today, because what more do you need than some Briney Melon Gose and Blueberry Popsicles to celebrate Popsicle Week and head into a holiday weekend. I’m not going to be the Popsicle Week buzz-kill by dwelling on the negative, but y’all know 2017 has not been kind to my family. So I’m kicking off Popsicle Week and checking out for a bit. 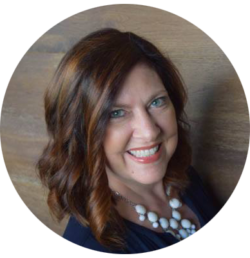 I’m taking a break from all things blog for the month of July. I’ll be spending some quality time on the lake, doing a bit of kayaking, and headed to the beach for a welcome week-long vacation. Don’t worry about the fur babies – as always, we have a house/pet sitter. Happy Popsicle Week, friends and have a great July. 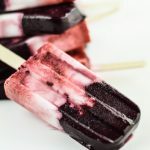 I’ll be back sometime in August, but until then there are all kinds of Popsicle recipes you need to try over at Billy’s website Wit and Vinegar. Go check out his Popsicle Week page. Cheers! Be careful when pulling the popsicles out of the mold. Don’t rush or they will break. Just take your time and they’ll be fine. Looking great! Hope you make them again in July:) Just for yourself. I hear you about Anderson Valley, lol. Sours and pilsners is all I’ve been drinking lately! Enjoy your time off Rachelle! 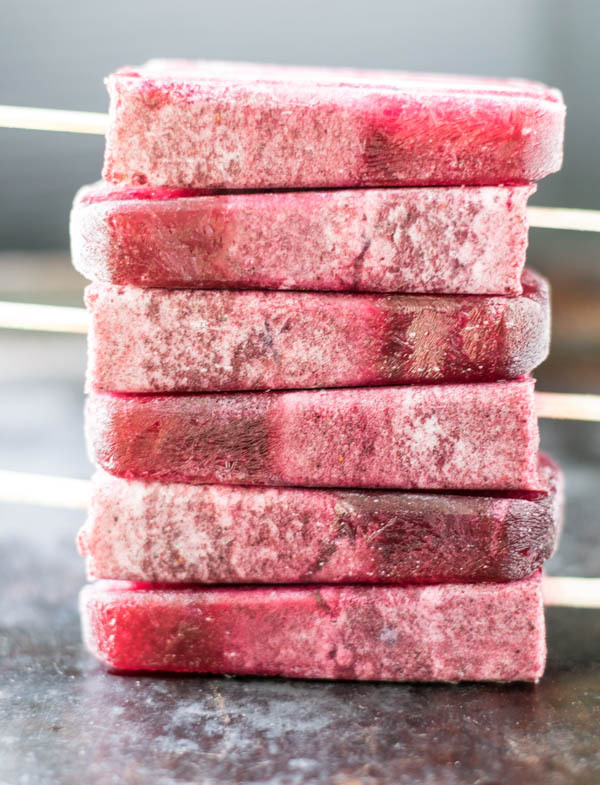 These popsicles look fantastic, Rachelle! You take all the time you need .. enjoy! Rachelle!! 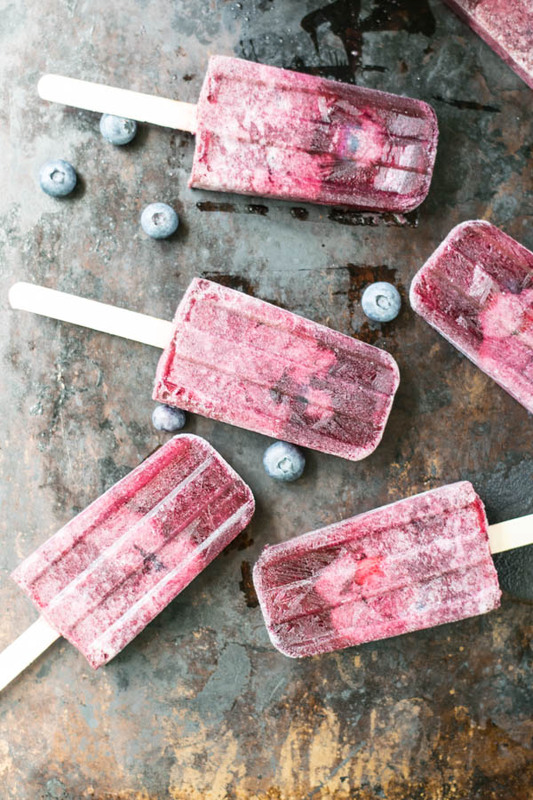 great looking popsicles! I hope you have a great lake vacation!! and a well deserved break!! Hugs my friend! 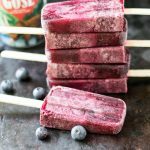 These aren’t your mama’s popsicle! Yum! These look awesome Rachelle! My husband would be all over these! 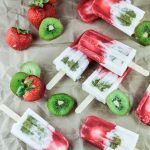 These are beautiful, and I bet they are so tangy and refreshing – perfect for enjoying on the front porch after dinner. 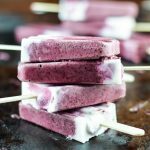 These look amazing and I’m sure they are super delicious! 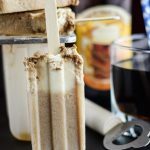 Never had beer popsicles, but these are on my list now! Pinned! Popsicle week should last all summer long! These look fabulous!Enjoy your vacation! 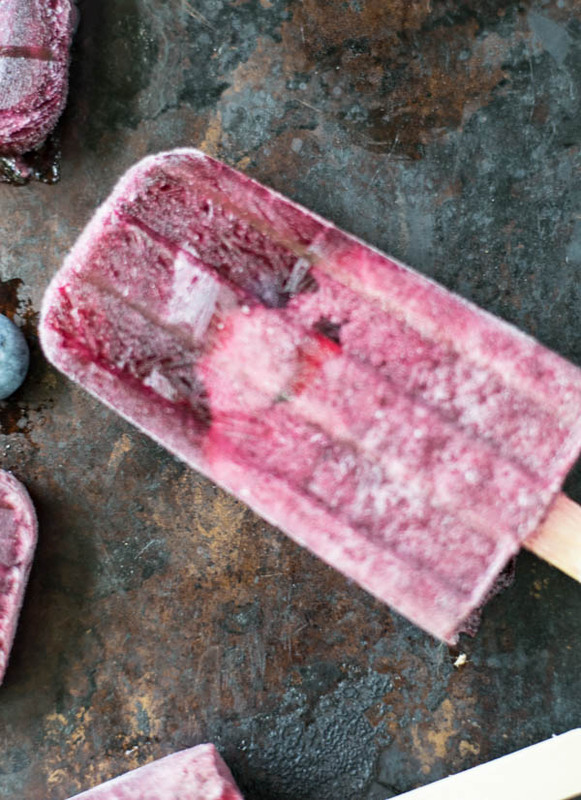 These popsicles seem so finger-licking! Excellent combination of ingredients! Do the blueberries have to be frozen or I can use fresh ones? Thanks Agness! Fresh are totally fine!